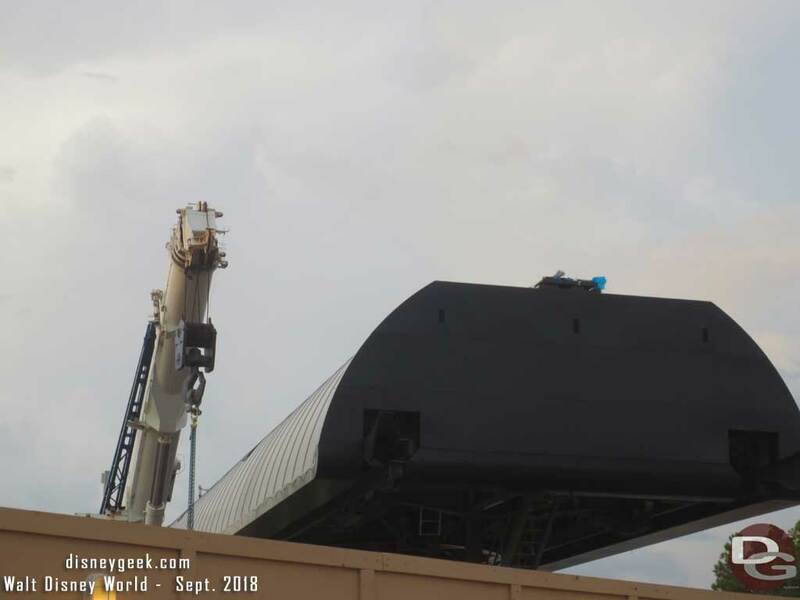 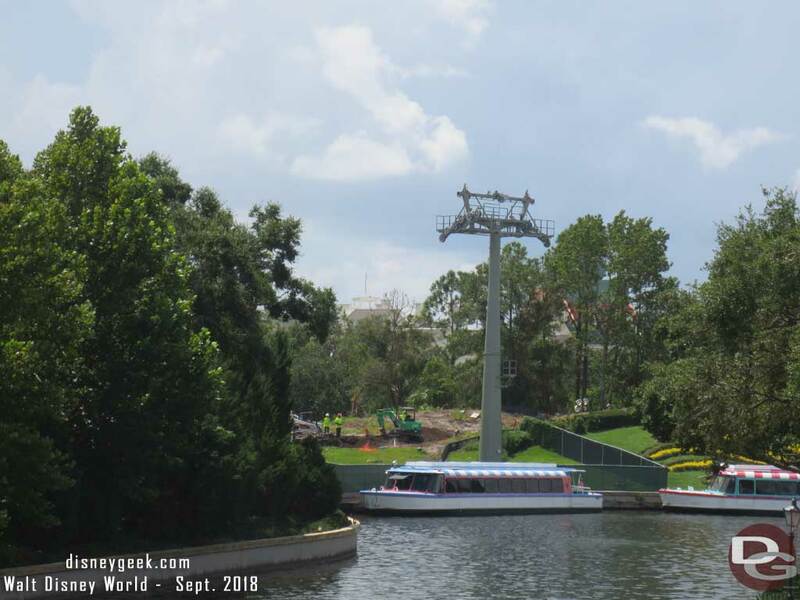 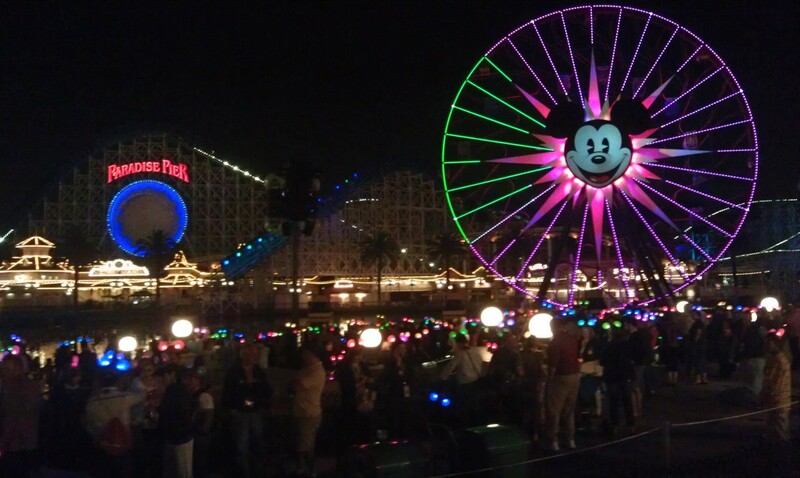 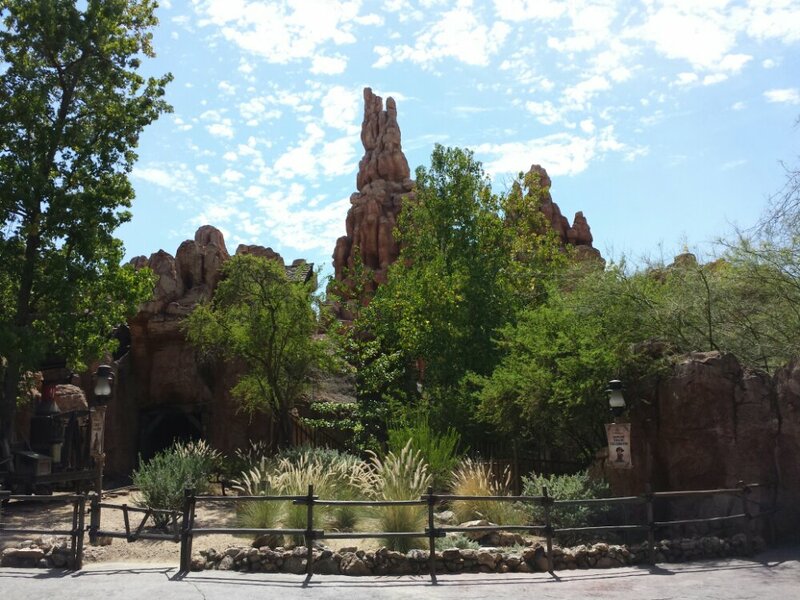 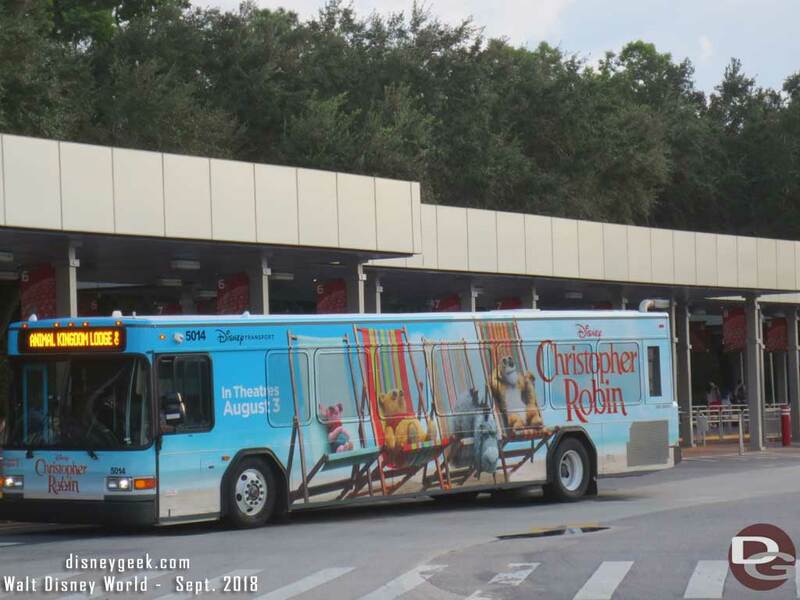 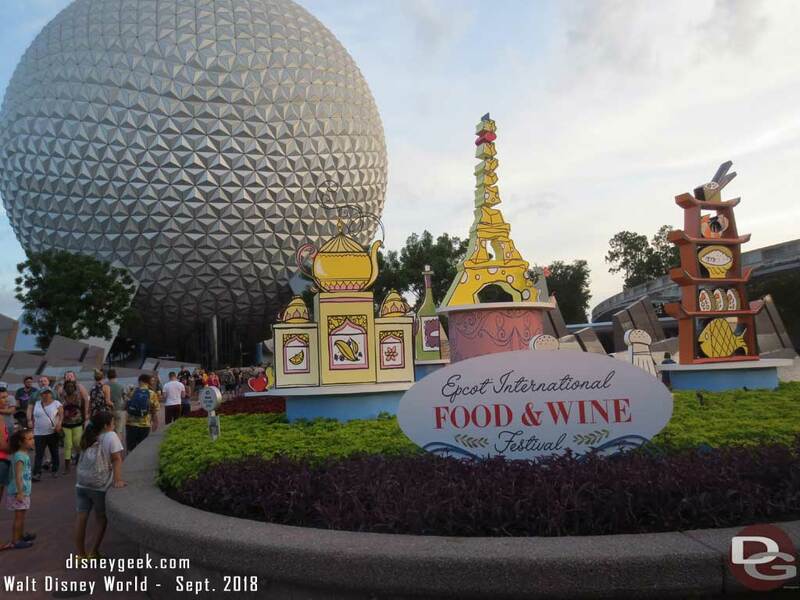 A couple of the retired geeks visited Walt Disney World in early September and shared some photos with us. 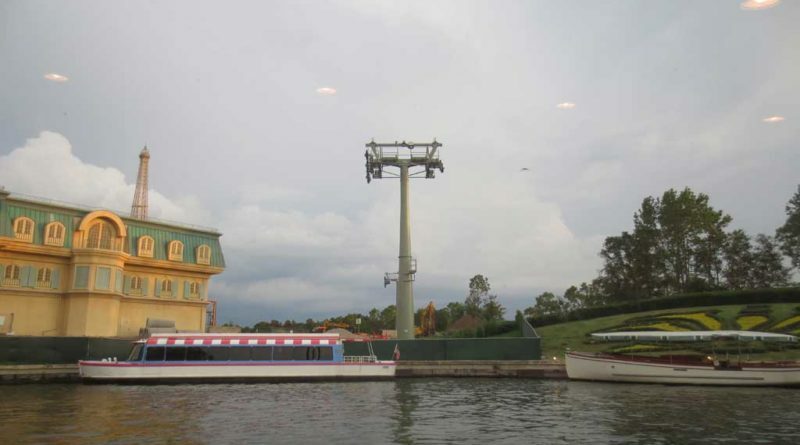 Here are some from their Epcot set taking a look around Epcot featuring the International Gateway projects. 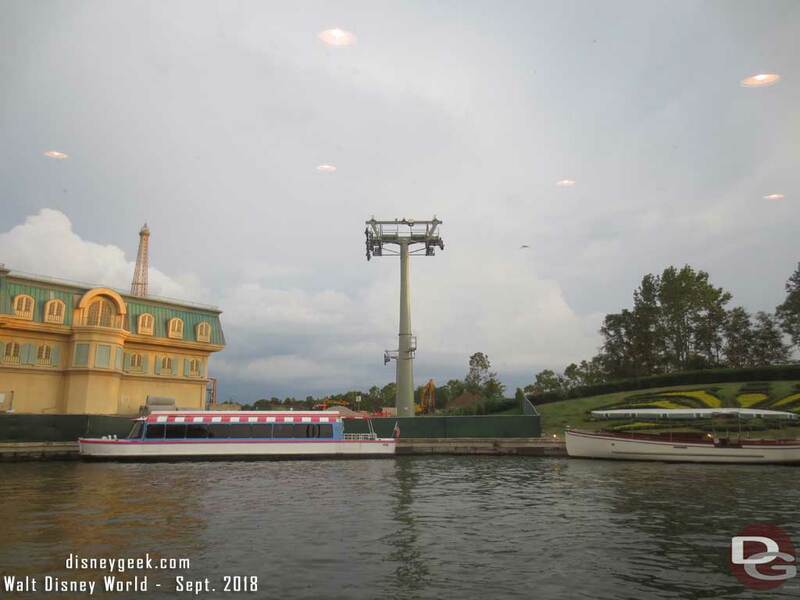 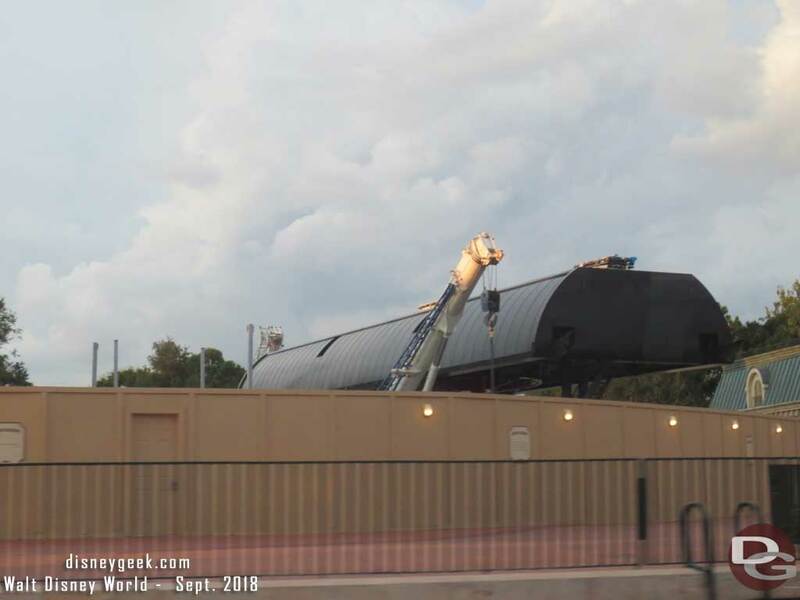 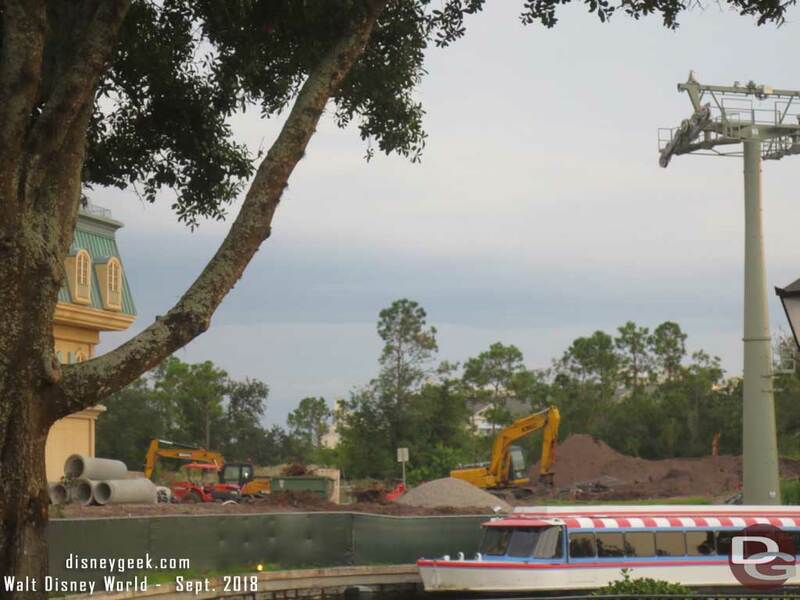 In the foreground the Epcot Monorail Bean is looking rather dirty again. 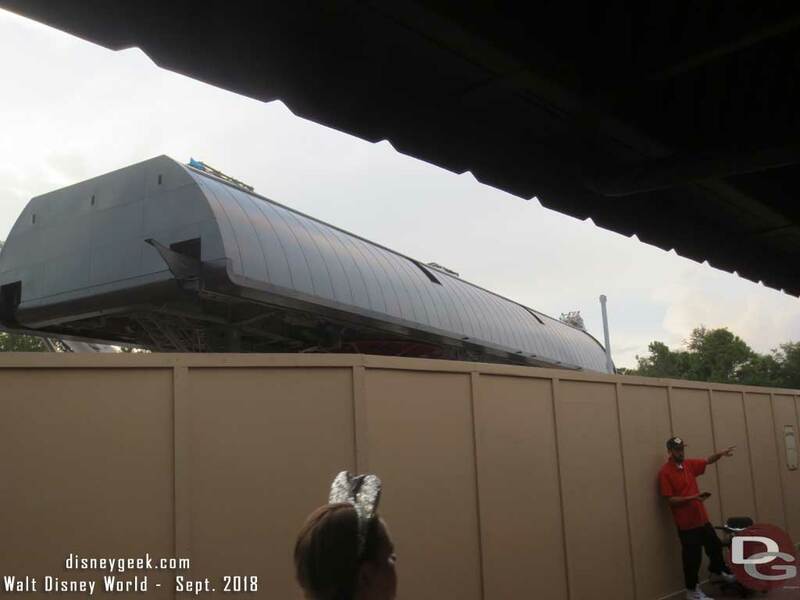 Beyond it a crane at the Guardians of the Galaxy attraction site. 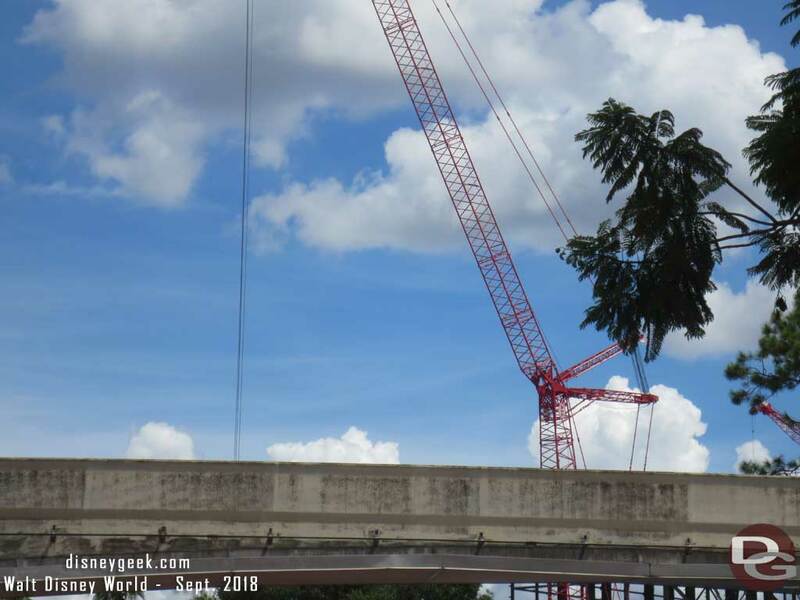 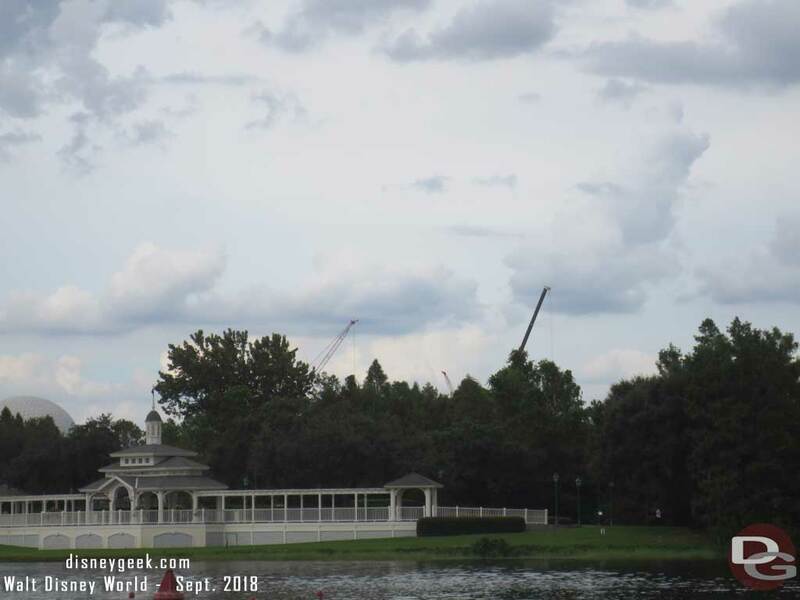 Cranes dot the Epcot skyline.